Jason’s content marketing team writes press releases, distributed via PR Web, announcing attendance at industry conferences, new product launches, community involvement projects and other newsworthy events. Here are just a few of the many media placements and press coverage for Jason’s businesses. Palm Beach Island, FL – April 5, 2012 – Jason Brian, CEO of AutoCricket.com, was honored by the South Florida Business Journal for excellence in business and efficient leadership. The awards ceremony was held at The Breakers Hotel on Palm Beach Island. Bill Gates, Mark Zuckerberg, Michael Dell, Steve Jobs, Ted Turner: All these leading lights famously ditched college to pursue their entrepreneurial dreams. Then there are those lesser-known preternatural wealth-builders who manage to cobble million-dollar enterprises before they graduate from college by age 22–and some who did it much earlier than that. December 2012 – Jupiter Magazine – pp 36-37. Jason Brian founded a multimillion dollar company and raised nearly $90,000 toward the fight against leukemia – all before his 25th birthday. AutoCricket.com Makes Insurance Companies Compete for Business, Translates Into Big Savings for Users. Owning a car is getting more expensive every day. Really. A new report from the American Automobile Association (AAA) shows that the average cost of a small car is up nearly three percent, medium sized cars up nearly five percent, and SUVs are up almost eleven percent. Combine that with the average cost of auto insurance increasing by 5.7% over the past year, and drivers could be shelling out hundreds of extra dollars. Every penny counts, especially in today’s economy. That’s where AutoCricket.com comes into play. 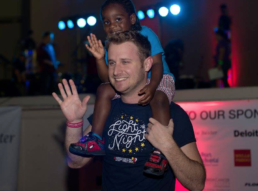 A millennial philanthropist who paved his own road to success, Jason Brian is not missing a beat. The 25-year old became a self-made millionaire when, in 2008 he founded West Palm Beach-based AutoCricket.com. 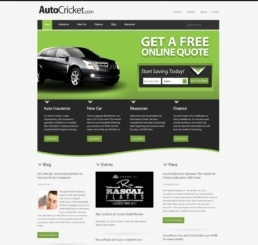 Since launching AutoCricket.com in 2008, Jason Brian has become a master of the online and insurance worlds, propelling his company to success in a very competitive industry. Jason Brian, founder and president of West Palm Beach-based AutoCricket.com, was 18 and working as a manager for a local car dealership when he saw the need for an online search site for consumers looking for auto insurance. AutoCricket.com’s cofounder and CEO, Jason Brian, launches his 10-week Man of the Year campaign to benefit The Leukemia & Lymphoma Society, April 1st, 2011 in West Palm Beach. The South Florida Business Journal is pleased to present the 2012 Palm Beach Ultimate CEO Awards. Our special section devoted to the most distinguished business leaders in the county shows how these super high achievers and generous supporters of the most worthy charitable causes in our region serve as an inspiration to us all. South Florida Business Journal has announced this year’s 40 Under 40 honorees. The top young business talent in the tri-county area includes CEOs, presidents, shareholders, partners and more from a variety of businesses and organizations. 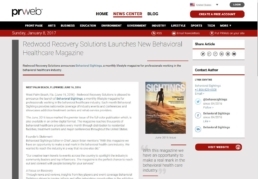 Redwood Recovery Solutions is pleased to announce the launch of Behavioral Sightings, a monthly lifestyle magazine for professionals working in the behavioral healthcare industry. Each month Behavioral Sightings provides nationwide coverage of industry events and conferences and showcases addiction treatment centers and rehab service providers. CEO and founder of AutoCricket.com, Jason Brian built a company from the ground to a company that grossed $6 million in its second full year. These young entrepreneurs got rich before many of their peers had even started working. To qualify for this Forbes’ list, the kids needed to have made $1 million in revenue before college graduation and by the age of 22 (or be on track to do so), or had to have received funding that valued their operations at $1 million or more. Contact our media department for more information on press coverage on any of the Redwood Recovery Solutions brands: media@redwoodrecoverysolutions.com. 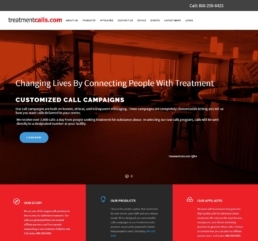 TreatmentCalls.com receives over 2,000 calls a day from people seeking addiction treatment. The calls we deliver to you are generated from helpline style ads. Our goal is to connect these people reaching out for help with a facility able to meet their treatment needs. Entrepreneur Jason Brian, who is launching the brand website 1-800 Addicts and runs parent company Redwood Recovery Solutions, says talking about marketing in the addiction field has certain challenges. 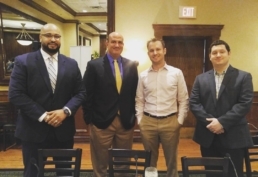 Our panelists are ready to provide some thought leadership at the BH Panel Series-Boca!